The set has nice detail, is very good quality, with clear and effective instructions. The very delicate weapon racks need better protection, such as their own small bag. 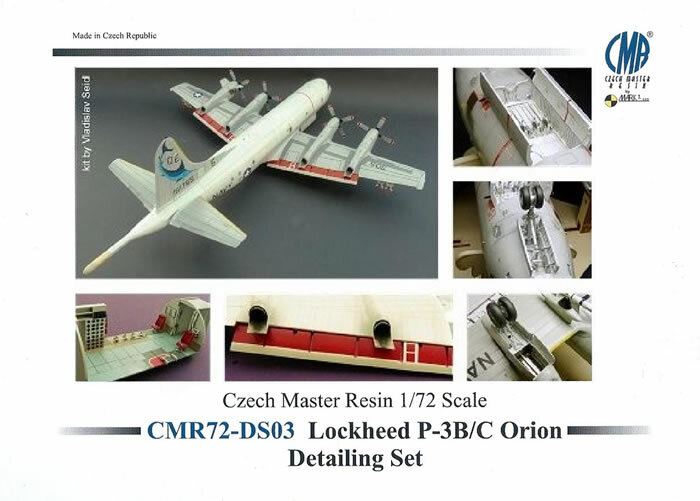 This very good quality detail set should please P-3 Orion fans. 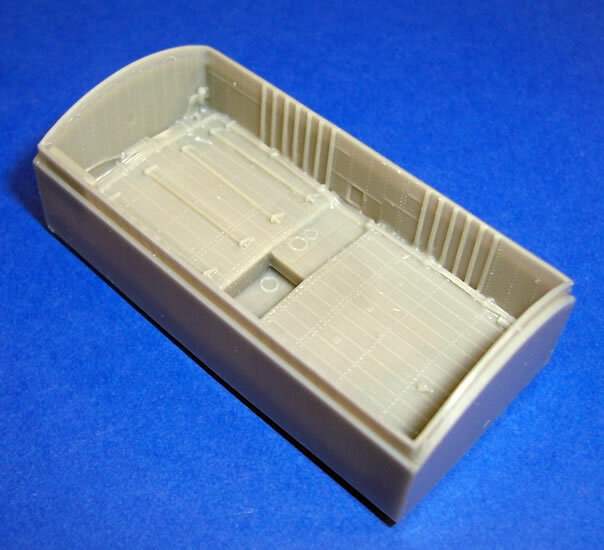 It will enhance the appearance of the Hasegawa kit, and add interest to the finished model. CMR’s usual graphic instructions set a benchmark that few can match; so the use of photo images and written guidance with this release was a surprise. However, they are very clear and effective for this type of release. Only a modest amount of plastic surgery is required, and the set is quite straightforward to use. I feel that the very delicate weapon rack parts should be packed in their own bag, as they are too vulnerable to damage to share a pouch with larger pieces. 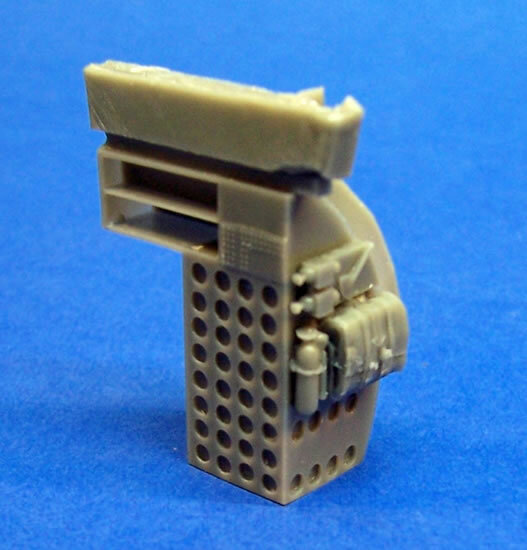 I hope that this detail set is a success for CMR, and that it encourages them to produce more for other equally overlooked and deserving kits as Hasegawa’s P-3 . 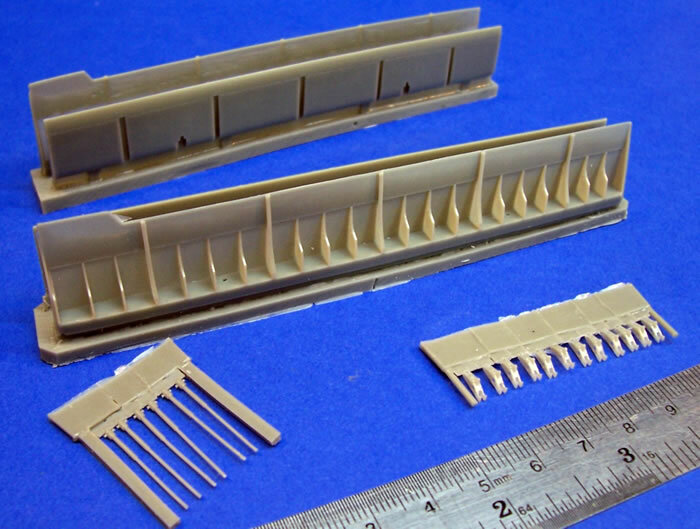 The Hasegawa P-3 Orion kit has been around over thirty years now; and dates from a period when may Hasegawa kits were all but unmatched for their quality and fine raised surface detail. Hasegawa have issued it in various boxings and updates over the years; and it remains the only 1/72-scale kit of this widely used ASW and maritime patrol design. 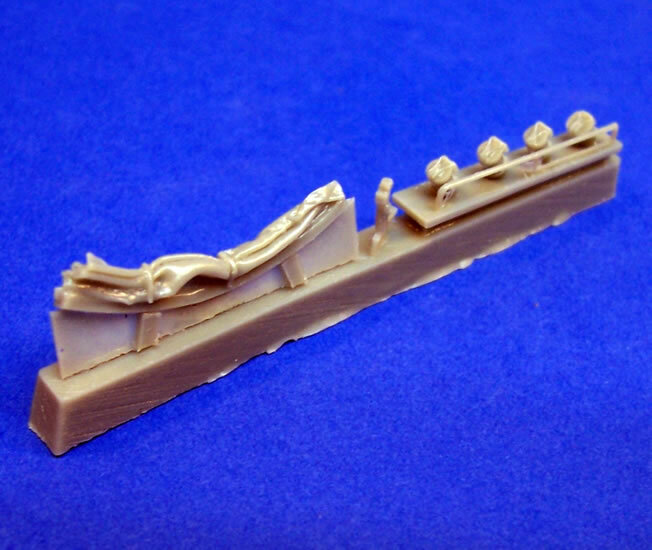 CMR mainly make full aircraft kits, although they have also made conversion sets for the Avro York and Lancaster B Mk II, as well as wing-fold detail sets for their own Seafire and Sea Venom kits. 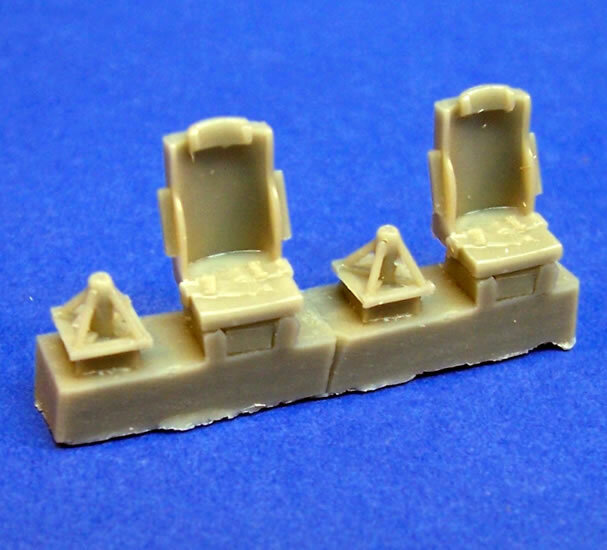 I have often thought that an opportunity existed for them to offer pure detail sets too. CMR is now under the auspices of Mark 1 Ltd, and this P-3 detail set release is one of the first under this new arrangement. 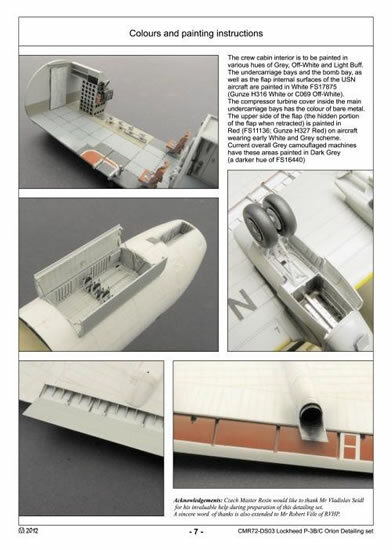 Perhaps detail sets for non-CMR kits now lie within the company’s scope; if so, it would be nice to see more. The detail set comes in a sturdy top-opening box with colour photo images of a finished Hasegawa P-3 incorporating the detail set components. The parts are detailed using the green resin adopted by CMR nearly two years ago. 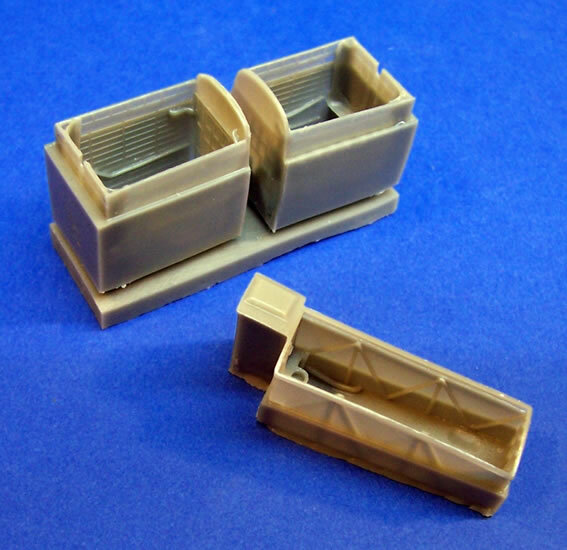 These are packed in CMR’s usual heat-sealed plastic pouches that separate the parts broadly by size and fragility. A final outer bag then encloses everything, so there is little chance of parts going missing until all unpacked. However, I do advise care opening the pouches, just in case some small parts have broken off their casting blocks or been damaged. In the case of my sample the very delicate weapons racks had all been damaged. 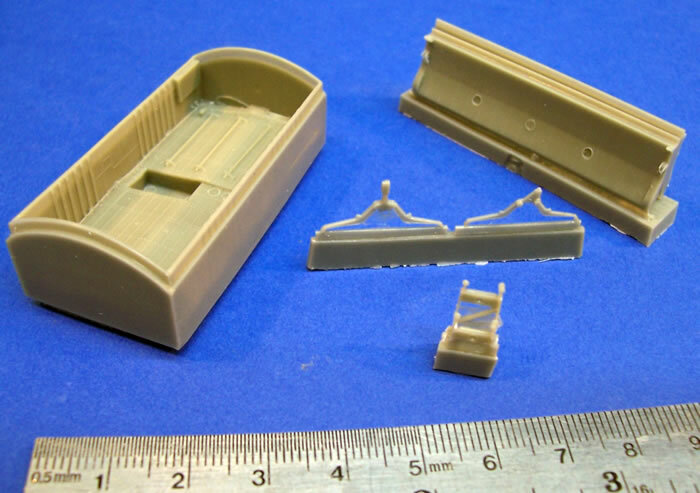 In fact, I think that CMR Moulding & Casting (the company that produces for CMR by Mark 1) should have put these items in their own little zip-lock bag; as they are too vulnerable to share a pouch with other resin parts, however small the other pieces may be. CMR’s instructions have departed from the usual style of superb quality graphics to using a mixture of monochrome and colour photo images. The parts map is covered this way too. Some producers adopt this approach to save on graphics costs, and it does not always give good results. On this occasion however, the approach has worked very well; the images are very clear and a detailed notes in English expand on what is illustrated. The last page guides painting by using colour images and cross-referenced notes to FS-595 and the Gunze-Sanyo paint range. Flaps need to be cut away from the lower wing surfaces altogether, as does their remainder that forms part of the trailing edge of the upper surfaces. After this is done, the inside of the upper wing surface must be thinned down to accommodate the wing’s internal structure above the flaps. Undercarriage bays must be removed, and some thinning is needed to make sure that their resin replacements fit properly. 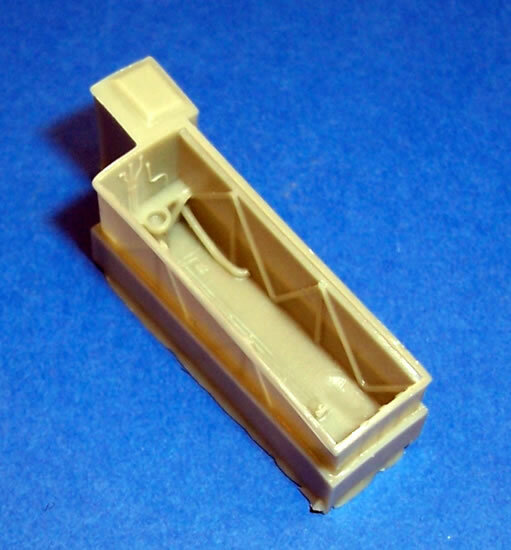 Weapons bay needs to be cut out from the fuselage halves and the weapons bay fixed in position. The weapons racks are added to this along with the bay doors. Some actuating rods must be scratch-built, but the instructions provide guidance and measurement details for this. The crew cabin consists of a floor, ceiling, and front and rear bulkheads. A couple of seats, various items of equipment and a crew door finish this area off. 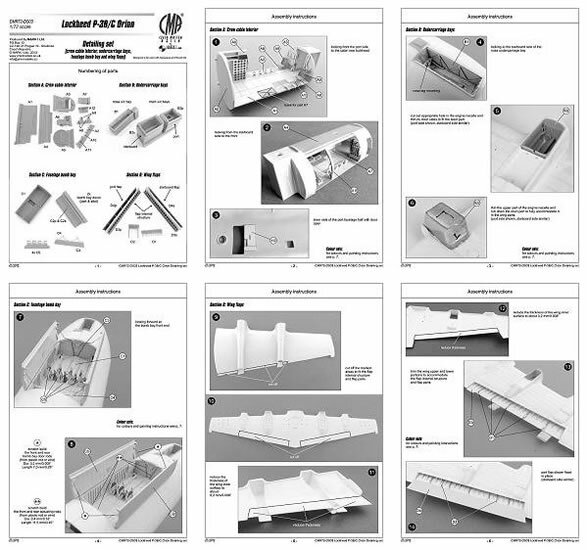 The whole assembly is designed to fit within the fuselage without modification of the kit parts. 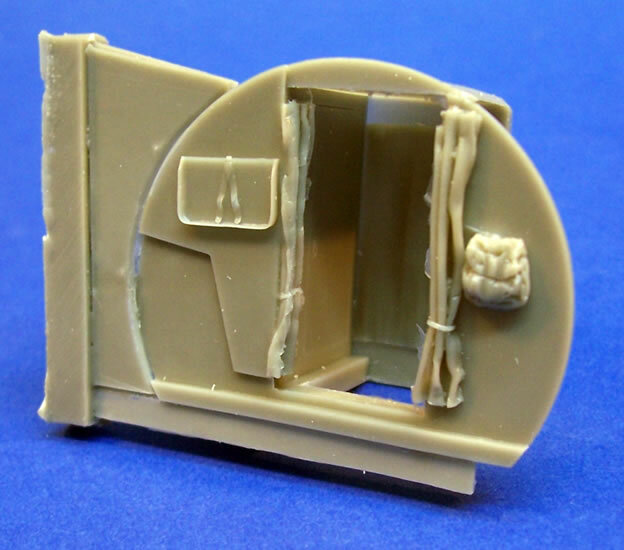 I hope that this detail set is a success for CMR, and that it encourages them to produce more for other equally overlooked and deserving kits. It would be great to have CMR address some of the other classic Hasegawa kits of the 1970’s and early 80’s in a similar way to the P-3. The Kawanishi H6K Mavis is a favourite of mine, as are the P5M Marlin and Shinmeiwa US/PS-1. Pavla have just released a B-47 cockpit and one for the P-2 Neptune some years ago; otherwise, these would be high on my wish list too, although a comprehensive detail set for both would still be nice. Well, we live in hope!